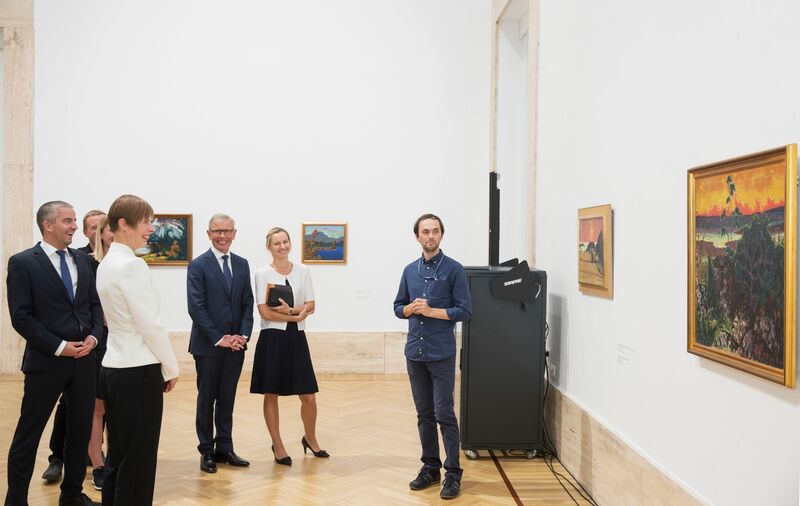 The President of the Republic of Estonia Kersti Kaljulaid opened a major exhibition of works by Konrad Mägi (1878-1925) on 9 October at the stately Galleria Nazionale d’Arte Moderna e Contemporanea in Rome. 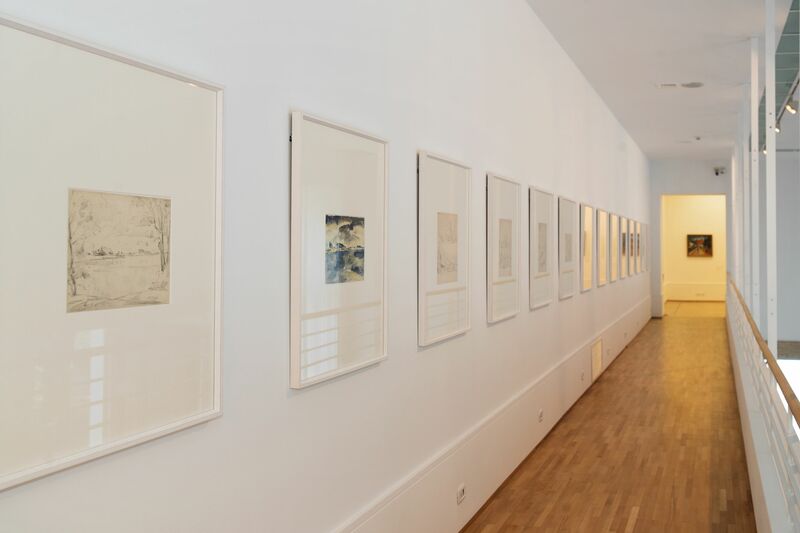 This is the largest exhibition of Konrad Mägi’s works of all time outside of Estonia. 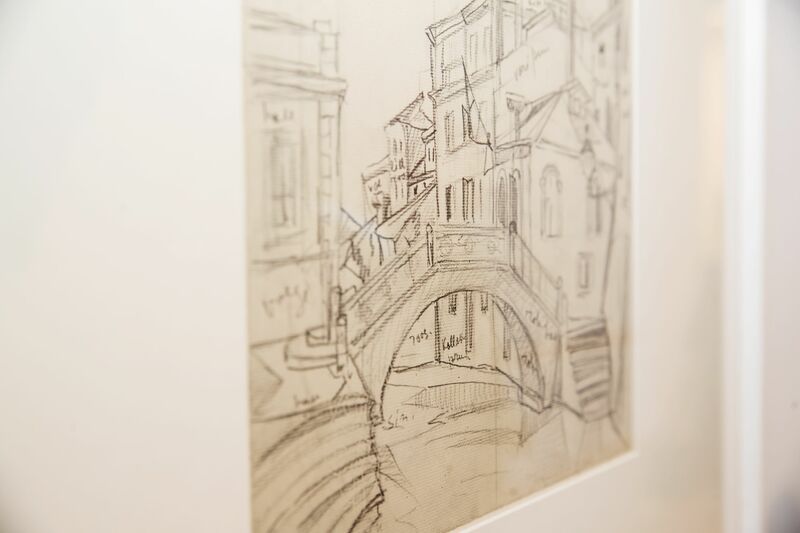 The best of Mägi’s landscape paintings is on display, including over 60 paintings and drawings. 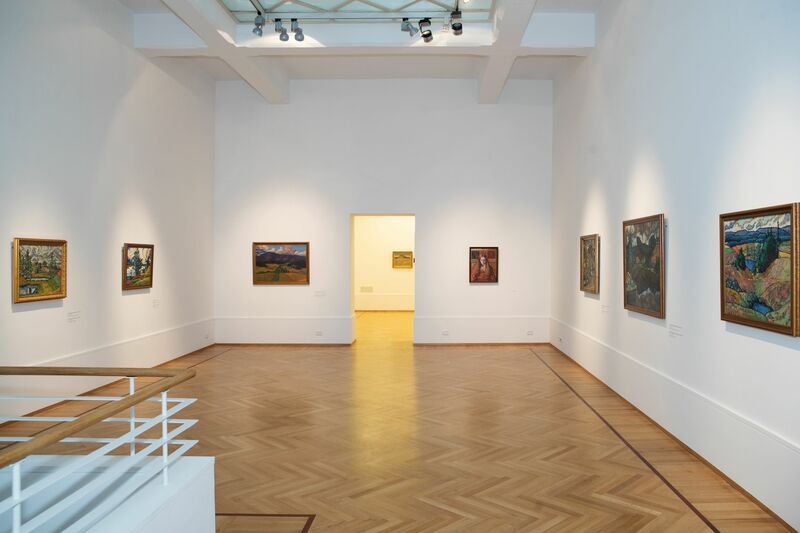 The paintings belong to the Art Museum of Estonia, the Tartu Art Museum, the Eesti Üliõpilaste Selts (Estonian Students’ Society), and Enn Kunila’s collection. 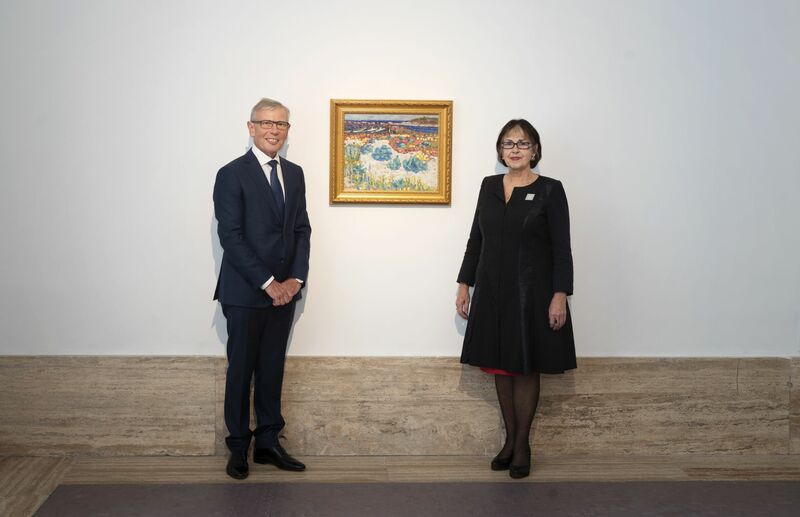 The exhibition’s theme work of art is Konrad Mägi’s painting from 1913-1914, Maastik punase pilvega (Landscape with a Red Cloud). 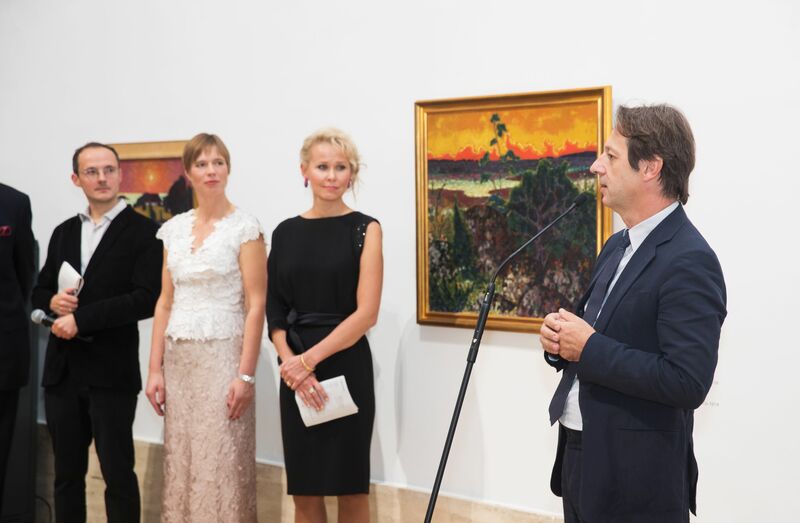 “It is difficult to find a better ambassador for Estonian art and culture than Konrad Mägi. He reaches out to show – we are a part of Europe, we are one Europe. 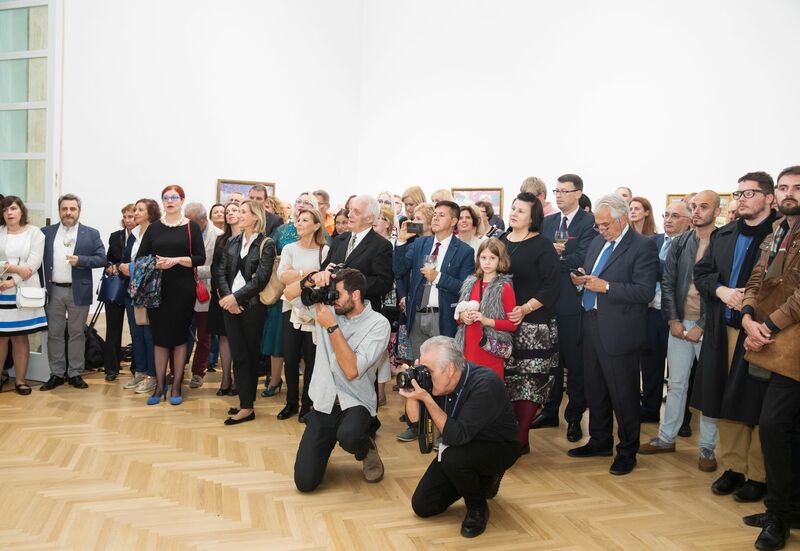 We have always been,” said President Kaljulaid at the opening of the exhibition. 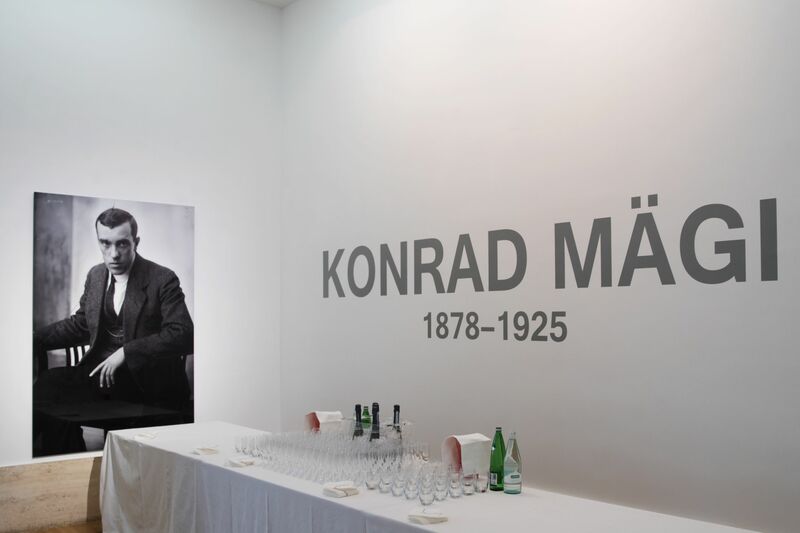 Konrad Mägi is a well-known artist to the Estonian public, but he has yet to be written into European art history. 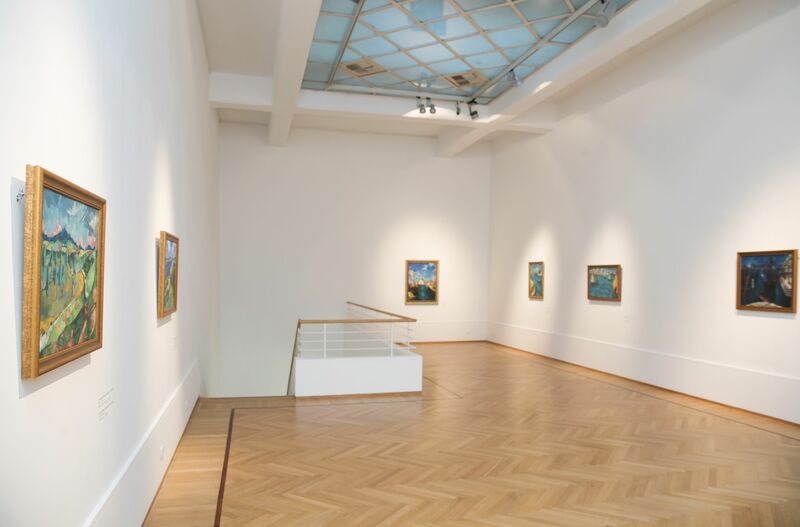 For various reasons, it was impossible for decades to exhibit Mägi’s works to European viewers and for this reason, this exhibition is only the first opportunity to fill this gap. 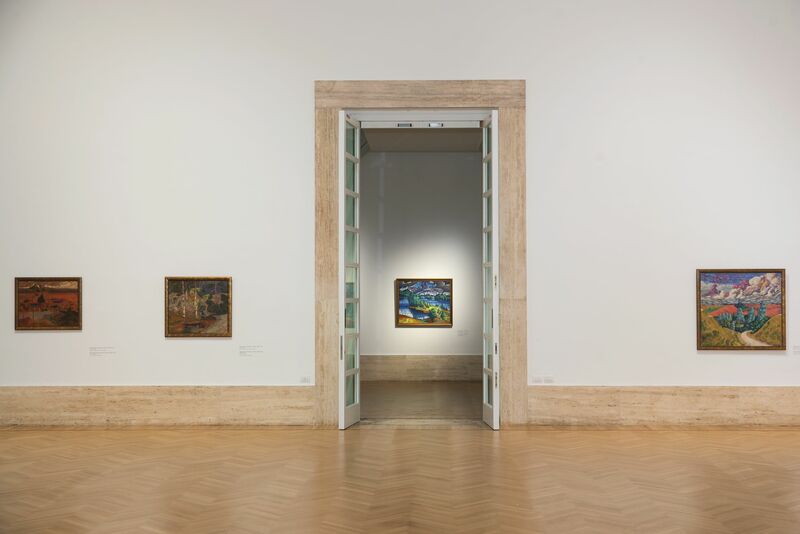 The paintings at the exhibition introduce all of Mägi’s more important creative periods from the years 1908–1925, revealing Mägi first and foremost as a painter who perceived nature as a metaphysical and sacral space. 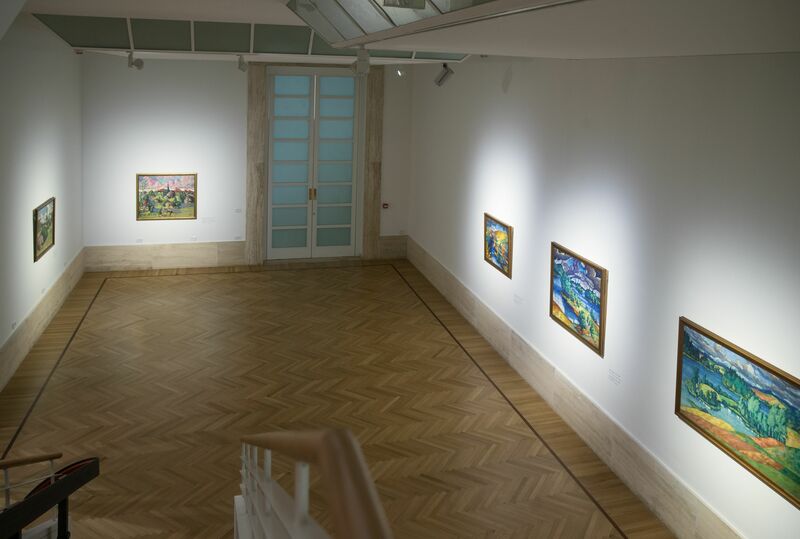 His powerfully colourful paintings do not see nature as a decorative object but rather as a mystical place where it is possible to experience the existence of parallel reality. 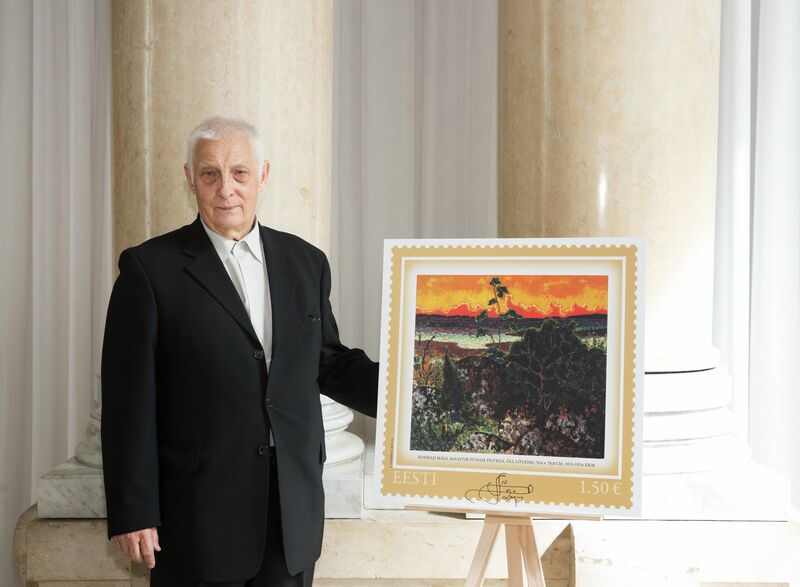 For Mägi, who was interested in different religious and esoteric teachings, nature was the most important temple where he perceived something about which it was not possible to speak – it was only possible to paint. 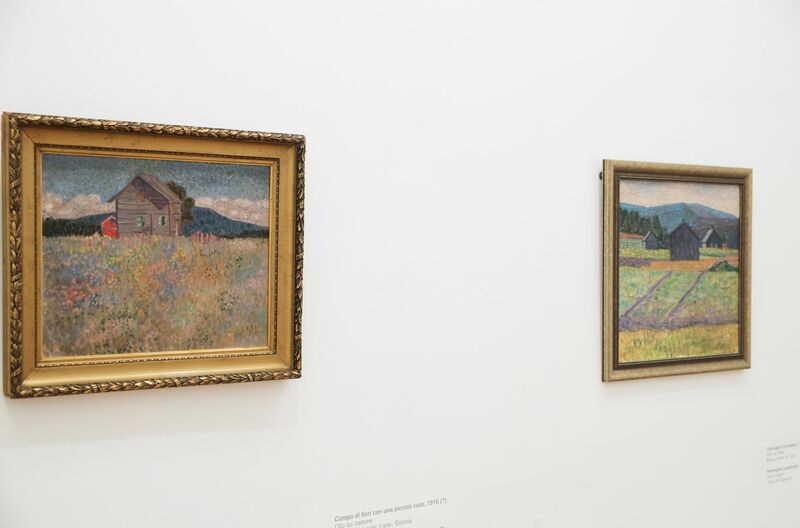 Few painters with this kind of perception of nature are known from European art of the outset of the 20th century who would have used such a distinctively different palette to reflect their experience. 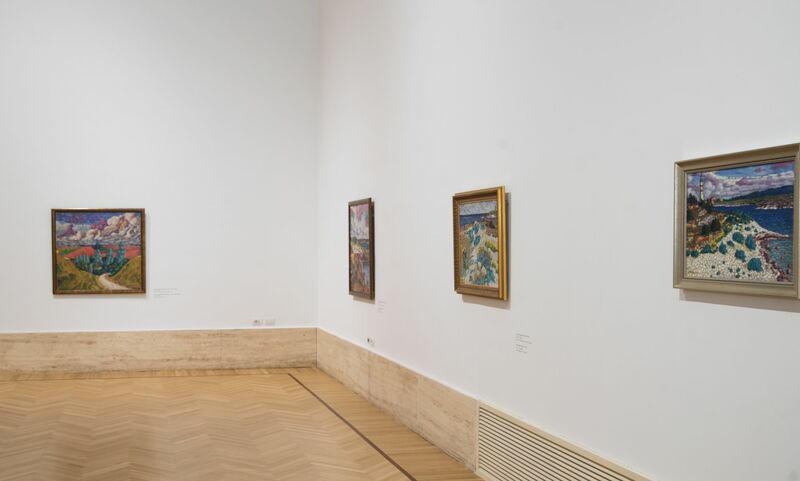 Although Mägi was familiar with all of the modern art trends and movements, he never developed into a follower of any one particular trend, rather he synthesised different experiences, including his own life experience and childhood in Estonia. 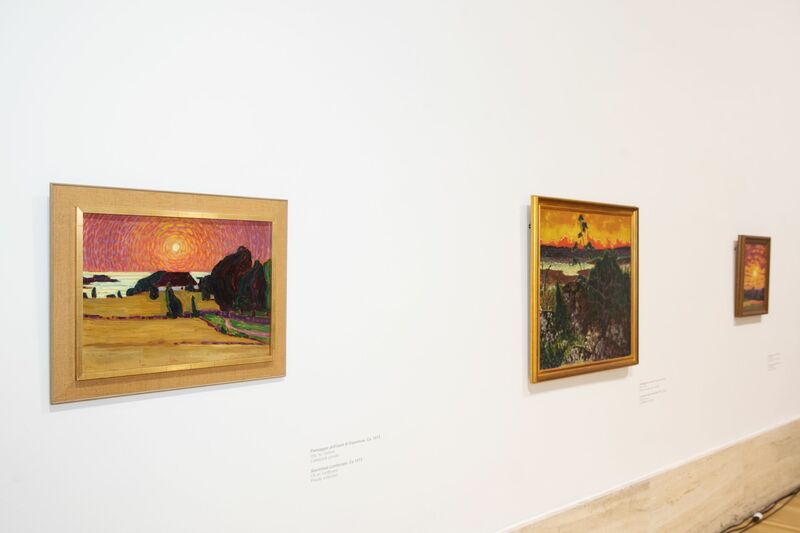 This transformed Konrad Mägi into a European in Estonian art and an Estonian in European art. 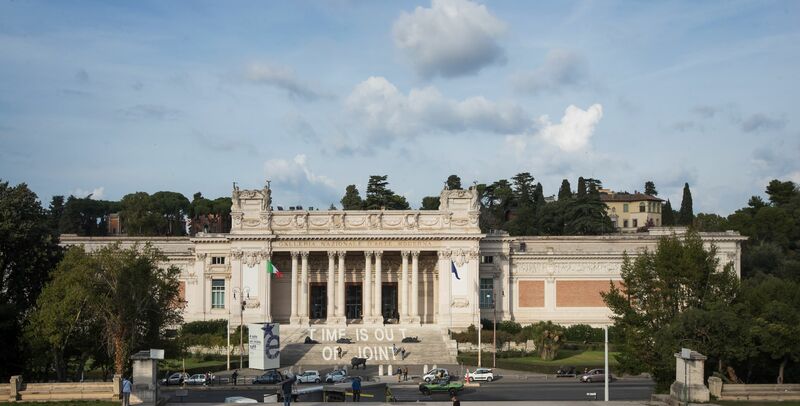 Established in 1883, the Galleria Nazionale d’Arte Moderna e Contemporanea is one of the most important museums in Rome, which has focused on 20th century modernism. 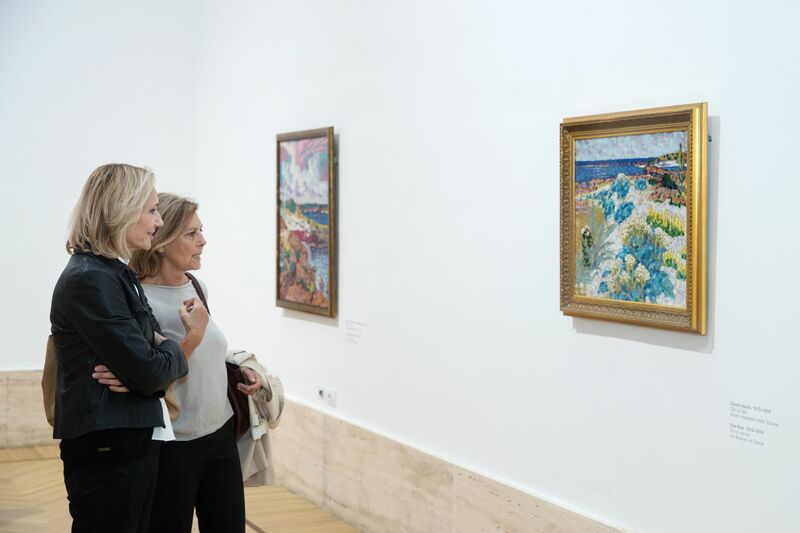 Many of the great names of 19th and 20th century art like René Braque, Paul Cézanne, Edgar Degas, Vassily Kandinsky, Claude Monet, Amedeo Modigliani, Jackson Pollock, Auguste Rodin and Vincent Van Gogh are represented in the museum’s permanent exhibition. 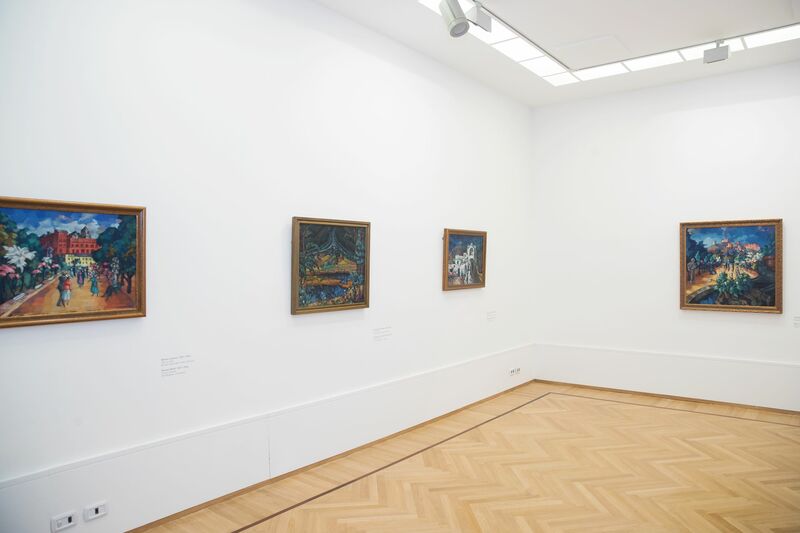 This exposition of Konrad Mägi’s works is the first time that Estonian art can be seen in the museum. 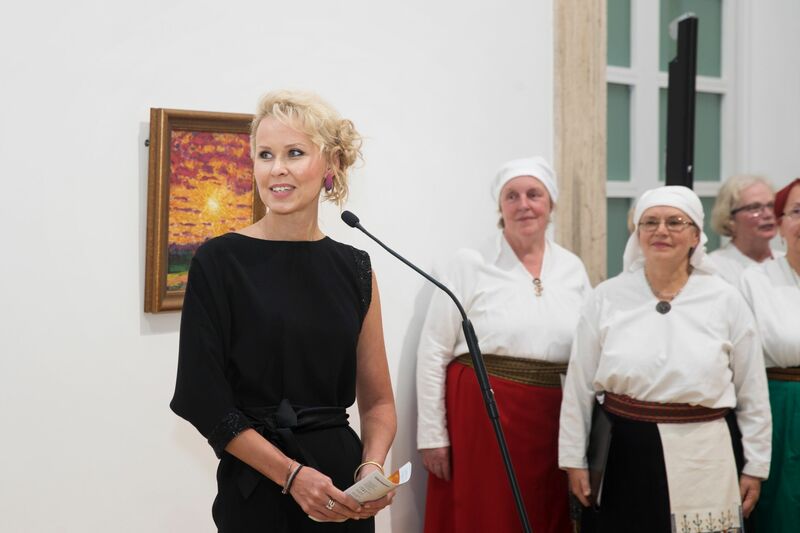 The curator of the exhibition is Eero Epner, its designer is Tõnis Saadoja and the graphic designer is Kätlin Tischler. 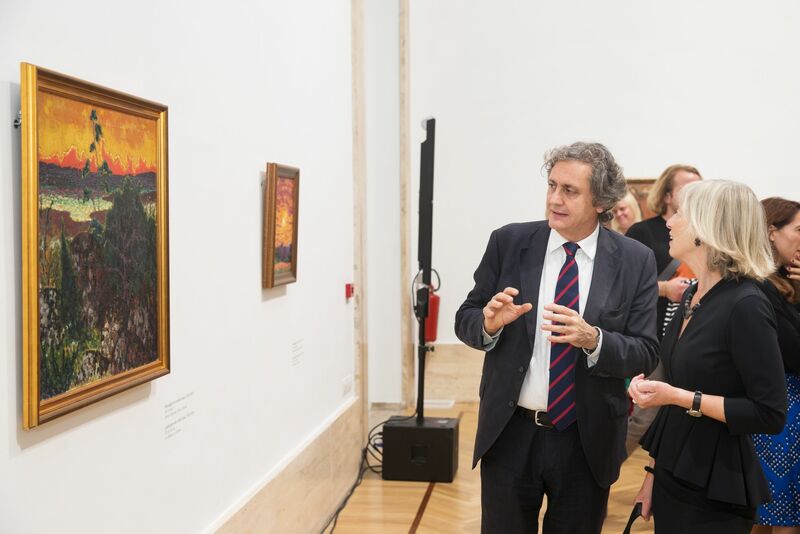 The exhibition is accompanied by a catalogue in Italian and English that in addition to reproductions of all the paintings at the exhibition also includes analyses contributed by Estonian and Italian art historians. 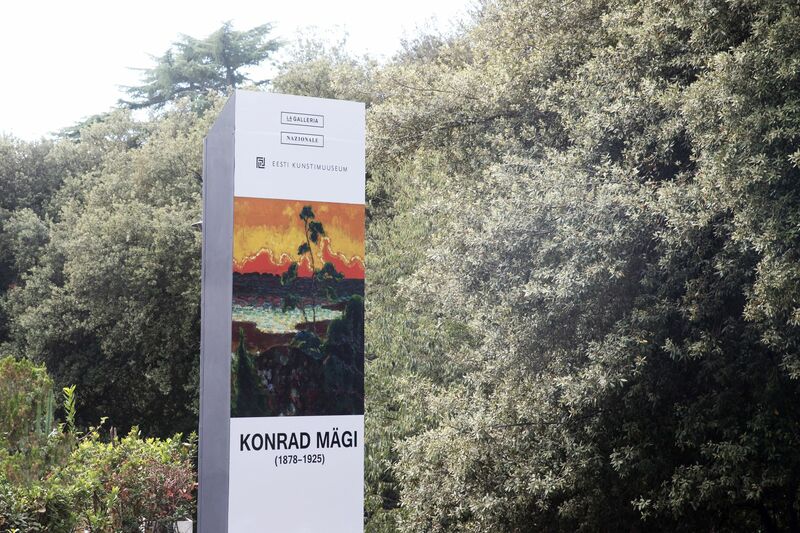 Along with the exhibition, the biography of Konrad Mägi written by Eero Epner that was published this autumn is being presented in English and Italian translations to the Italian art public. 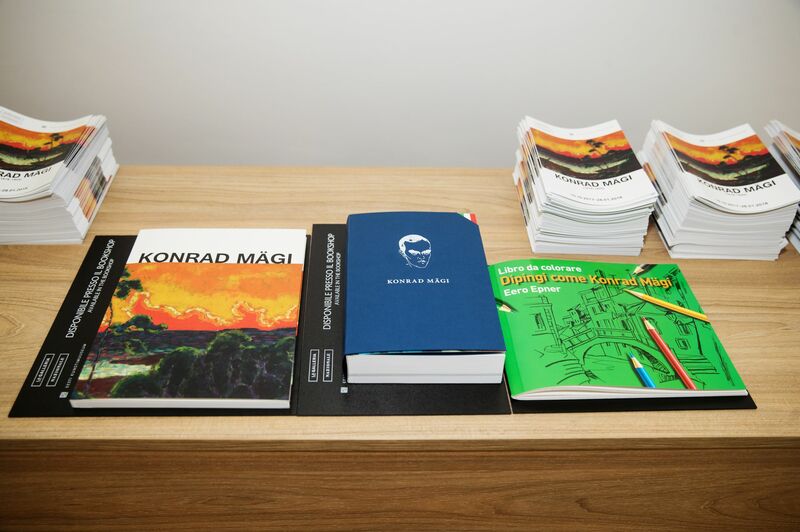 A colouring book in Italian and English has been produced for children with texts by Eero Epner and pictures by Jaan Rõõmus about and of Konrad Mägi’s paintings. 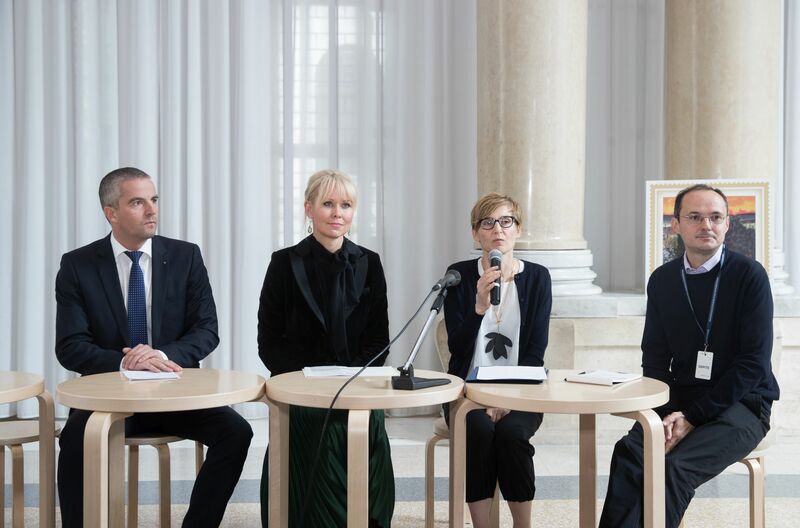 The exhibition that will remain open until 28 January 2018 is a part of the cultural programme of the centenary of the Republic of Estonia and of Estonia’s Presidency of the Council of the European Union. 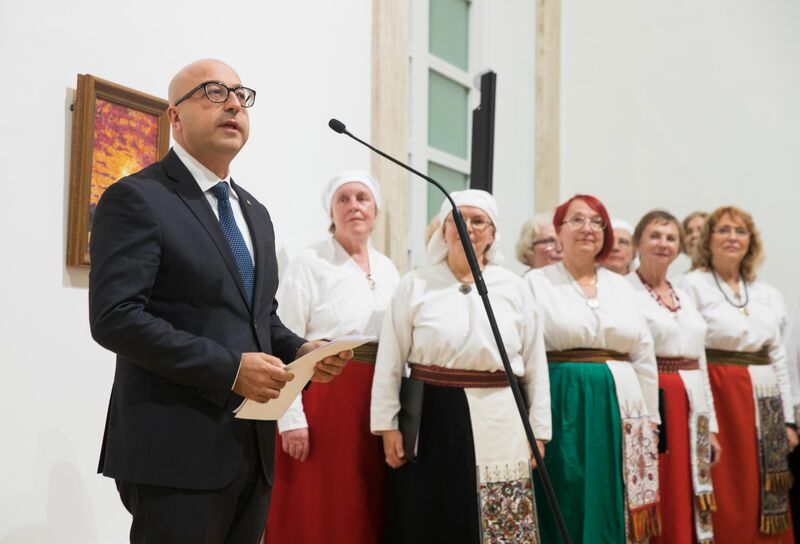 It has been organised by the Art Museum of Estonia in cooperation with the Estonian Embassy in Rome, the Ministry of Culture of the Republic of Estonia, and the Ministry of Foreign Affairs of the Republic of Estonia. 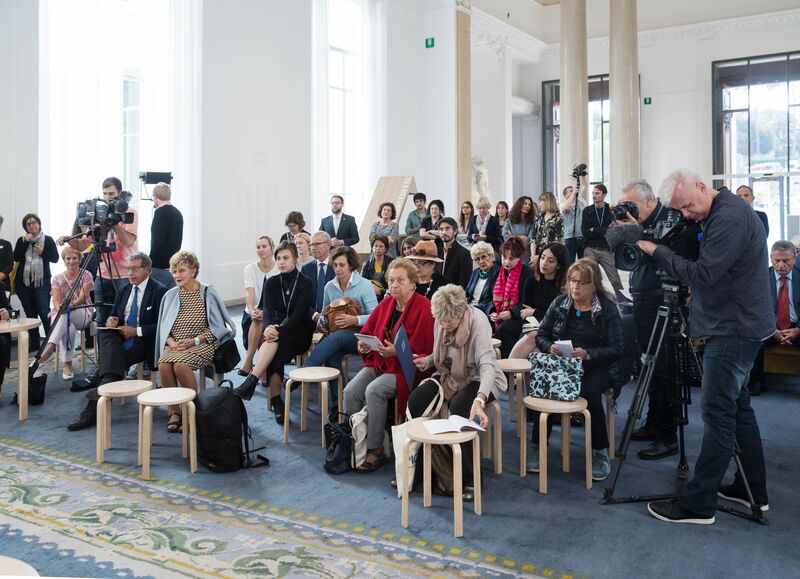 In addition to the festive opening ceremony of Konrad Mägi’s solo exhibition at the Galleria Nazionale d’Arte Moderna e Contemporanea, a press conference was held for journalists, a large number of which attended, and a presentation was also held of the new Konrad Mägi postage stamp designed by Lembit Lõhmus depicting Mägi’s painting Maastik punase pilvega (Landscape with a Red Cloud). 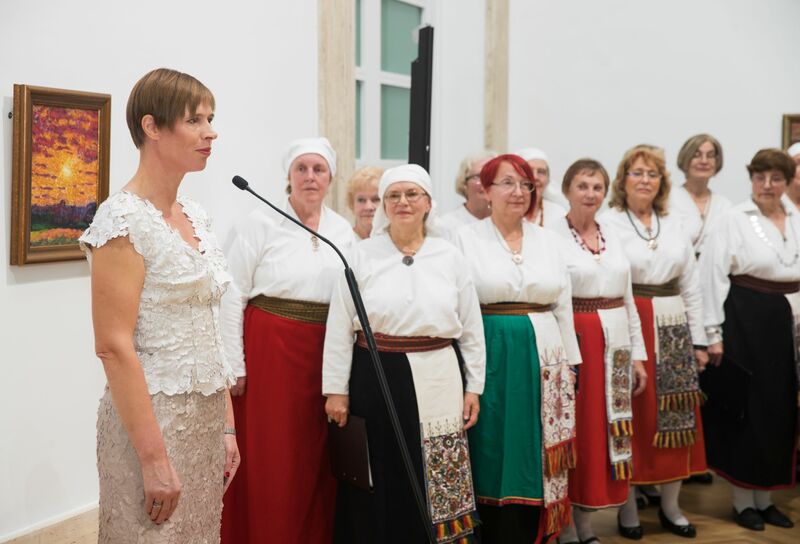 On 10 October, President Kersti Kaljulaid visited three schools in Rome (Rome International School, Liceo Artistico “Enzo Rossi” and Liceo Artistico “Giulio Carlo Argan”) and gave as a gift to each school reproductions of Konrad Mägi’s painting Itaalia maastik. Rooma (Italian Landscape. Rome).